Over 1500 International Construction Equipment manufacturers are gearing up to showcase their latest and innovative offerings to over 20,000 expected contractors, builders and other visitors from the world over. Despite multiple economic crises in Europe & US, and markets, the Equipment Industry is upbeat for the year 2012 and onwards. Hundreds of new equipment will be launched in 6 days at INTERMAT 2012, one of the world’s largest events for Construction Machinery and Allied Industry; explored Mr. S.A.Faridi during his visit to the pre-show press meet. The proceedings were marked by the convergence of key exhibitors who gathered in Paris on 11-12 January 2012, and around 200 journalists, who were eager to preview the latest products displayed by the exhibitors.INTERMAT 2012, the key event for the Construction Machinery and Equipment Sector, will be held 16-21 April, 2012 at Parc des Expositions de Paris-Nord Villepinte-France. The event will witness the convergence of over 1,500 international exhibitors and 200,000 visitors from 160 countries on 375,000 sqm of exhibit space. 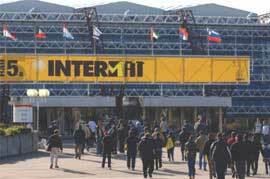 Since its inception in 1988, INTERMAT has been in the limelight for its creativity and the exceptional events that highlights the Construction Equipment and its end users. The event is organized by SE INTERMAT, Cisma and Seimat, the French professional associations of companies that manufacture equipment for use in the Construction Industry, and Comexposium, France’s leading exhibition organizer. INTERMAT 2012, France’s leading exhibition, will be a major industry event, showcasing the entire international offerings and attracting visitors from all over the world. The global leaders have already signed up, demonstrating their faith in the event. The exhaustive offers will cover all areas of construction expertise: Earthmoving, Components/Equipment & Accessories, Lifting and Handling, Concrete/Scaffolding/Formwork, Boring/Drilling, Roads, Mines and Quarries/Materials Processing/Recycling, Transport, Engineering, Services. Ever since it came into existence, INTERMAT 2012 is focusing on creativity with a series of tie-in events to promote the Construction Equipment Sector and its industry customers which include: the Pre-INTERMAT prestige, the Innovation Awards, and Paris Demos. The Pre-INTERMAT is traditionally held at the beginning of the year, three months before the show. This event allows exhibitors to preview the latest products to be displayed at their stands at INTERMAT to around two hundred specialist journalists from around the world. Leading figures from the international and French Construction Sector attended Pre-INTERMAT 2012 at the prestigious Carrousel du Louvre, along with key economic, political, and economic players. INTERMAT Innovation Awards were given to single out the most innovative of all the equipment and machinery presented to the jury. This year a “Sustainable Development Prize” was also given to solutions designed to protect the environment, including Eco-Design, Responsible Management, Low Energy Consumption, Reducing Pollution, Preserving Ecosystems and Biodiversity. The 2012 “Innovation Awards” jury, under the chairmanship of the FNTP, the French National Federation of Public Works, brought together representatives of Europ- ean construction and public works companies, technical directors, equipment directors, leasing companies, and researchers. 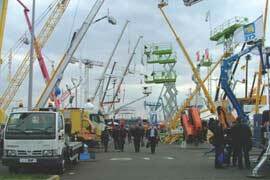 An event within an event, Paris Demos has been one of INTERMAT’s flagship events since the show was first held. INTERMAT is the only international exhibition that provides exhibitors with 30,000 sqm of outside demonstration area in which manufacturers can provide demonstrations of their equipment in action, in addition to the static exhibition. These dynamic demonstrations are used to showcase the equipment’s technological performance in real life conditions. ASCOREL has devoted itself to the development, installation and maintenance of electronic systems designed to enhance control and safety in civil engineering machines as well as lifting and fire-fighting equipment. Ascorel’s latest innovation includes new version of the MC602, Giant Display Screen and AIR BEACONS.The MC602 allows optimized management of mobile cranes. The latest innovations in this area focus on the automation of machines positioning and on the optimization of cranes workspaces. The new version will let you move freely mobile crane on your site without wasting time linked to the reprogramming of systems. When moving a mobile crane, the coordinates of the new positions are filled in its anti-collision system and are then automatically transmitted to all the machines around. This is a significant step which leads to save up to several hours for each repositioning of a machine on site. It reduces human intervention, increases accuracy and reduces the operating cost of the system. This development now allows Ascorel to consider in a short-term the management of real-time positioning of machine on construction site through the use of GPS technology. MC602 new version introduces an optimized anti-collision management which enables you to significantly increase the possible movements when tower crane and mobile cranes are protected by the system. Giant Display Screen is intended to be installed in the middle of the mast crane turn that will inform the site of the wind speed in real-time. It will be installed on any type of cranes (Link 4-20mA or CANopen). A standalone version will be available with an anemometer sensor connected directly. A screen test is already on site installed on a Liebherr crane, and will soon be on a Potain as well. AIR BEACONS complies with air obstruction marking and lighting regulations established by the AOCI and with the “Red Obstruction Lighting System”. Our full suite of obstruction marking and lighting products is approved by the French Department of Environmental protection, Sustainable Development, transportation and Housing. The ruggedness of the materials we use allows our products to have a good resistance to corrosion. A lighting protection is built into the power supply and the power cord. Terex Corporation, a diversified global manufacturer of a broad range of equipment for construction, infrastructure, quarrying, mining, refining, energy, utility and manufacturing industries, will display more than 20 units ranging from aerial work platforms and cranes to construction and materials processing equipment – 14 of the exhibited machines will be new or improved models. 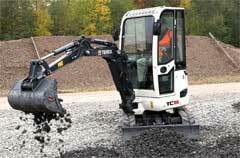 Major new innovations from the Terex Construction segment include the TC16 Twin Drive mini excavator which will debut in its production format. Also making its debut at Intermat is the company’s first entry in the micro excavator market, the 1 tonne operating weight TC10. Another product launch will be the TA300 Generation 9 Articulated Dump Truck, which is part of a comprehensive Stage IIIB compliant ADT range which spans 25 to 38 tonnes payload. Terex will also show a new generation of Genie® rotating rough-terrain telehandlers featuring best-in-class capacity, intuitive controls and simplified operation and service to reduce maintenance time and keep you productive. Two electric Genie self-propelled aerial work platform models will also make their European debut; built for outstanding operational performance both inside and outside, these new introductions are energy efficient and eliminate onsite emissions. In addition, visitors to the stand will be able to see the recently introduced CE-compliant Genie GS™-4047 compact electric scissor lift which has a 14m working height. This all-new design has a three person, 350kg capacity basket on a narrow (1.19m wide) base and can tackle up to 25% inclines. Terex Cranes segment will be showing new Challenger 3160 all-terrain crane, which is the only fully equipped, 3-axle, 55-tonne capacity class machine designed for one-man operation. Alongside will be the latest 100-tonne capacity class Roadmaster 5300 Truck Mounted Crane which can also be used as one-man crane. The company will also unveil a new addition to its self-erecting tower crane range. From Terex Materials Processing comes the new Terex® Minerals Processing Systems (MPS) MC1000 cone crusher which represents a move away from traditional machinery production methods. The Powerscreen® and Terex® Mobile Processing Equipment (MPE) product lines of Terex Material Processing will be working in conjunction with their respective French distributors in the Materials Processing / Mining & Quarrying area. Representing the Powerscreen brand will be the 500t/hr capacity XH500 horizontal shaft impact crusher and the giant Warrior 2400 screen which is capable of processing up to 800t/hr. From Terex MPE will be the latest Terex® Finlay 684 inclined screen, the 863 tracked heavy duty screen and the I-110RS, a tracked impact crusher with an easily detachable double deck screen. The Wirtgen Group is presenting 31 exhibits from a total of ten product segments at the show, spearheaded by four world premieres: the Wirtgen cold recycler and soil stabilizer WR 240i, the Vögele SUPER 2100-3i paver, the first of the new “dash 3 generation”, Hamm’s H20i compactor and Kleemann’s MR 110 ZS mobile impact crusher from the EVO generation. The brand new WR 240i is without a doubt the true star among the Wirtgen machines showcased. With its large, ergonomically designed, glazed and laterally displaceable cab, it ensures an optimized all-round view and a perfect view of the milled edge. In the road paver domain, the spotlight is now on the new “dash 3” generation, which is to be represented in Paris by the Vögele SUPER 2100-3i. 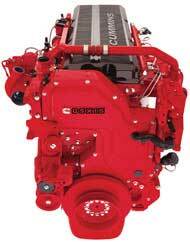 The modern Cummins 6-cylinder engine ensures a high performance and a wide range of applications. Other striking features include the optimizations to the EcoPlus package and the ErgoPlus operating system as well as additional convenience functions and the modern design. This year Hamm focus is on the new H-series. 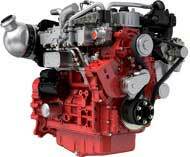 The H-models are the first compactors in their class to boast a sustainable Tier 4i engine. The H 20i with an operating weight of 20 t is this year’s highlight. The modern earthworks rollers are driven by a 160-kW 6-cylinder diesel engine with soot particle filter. Kleemann has optimized the material flow concept of its equipment with the new EVO-generation. For instance, the system widths have been extended to boost output, reduce wear and ensure top performances in terms of consumption per tonne of crushed material. 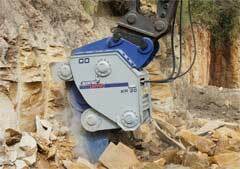 The highlight among Kleemann’s exhibits is the MR 110 ZS EVO mobile impact crusher from the new Mobirex EVO series. Ammann, a global provider of ecological, safe and efficient road construction equipment, will launch a completely revised range of compaction machines, a new asphalt finisher and the innovative UniBatch plant concept at the show.With regard to machines, the focus will be firmly on a completely revised compaction line of lightweight tandem rollers with operating weights ranging from 1.5 to 4.5 tonnes. A new hydraulic concept coupled with the latest Yanmar diesel engine technology is responsible for a significant increase in efficiency. The AV 120 X asphalt roller is the latest addition to the family of articulated tandem rollers. 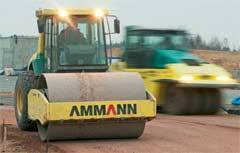 Ammann’s latest model ASC 150 ACE PRO is a powerful offensive in the field of intelligent compaction. An optional GPS application is available for the ACE PRO system to display compaction progress in real time and provide online documentation. The new hydrostatic pneumatic tyred roller AP 240 H is setting standards with regard to ease of operation and driveability. The new drive concept with an integrated operation optimisation system significantly reduces fuel consumption. 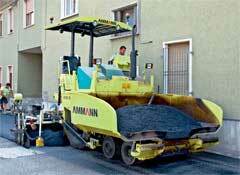 Ammann is also investing heavily in its asphalt finishers. The AFW/T 350 is a highly efficient wheeled or trackdriven finisher with a maximum installation width of 4.5 metres. This finisher is suitable for small to medium-sized construction sites where manoeuvrability in confined spaces is as important as high quality installation. Another new products on display will be Asphalt mixing plant UniBatch-Flexible all-rounder from 80 to 350 t/h, Ammapax® silencer that reduces the noise pressure level in asphalt mixing plants, EcoMix-the top-class concrete mixing plant, as1 plant control system: additional module EcoView that keeps economy and ecology at the heart of the mixing plant, and AVH 6030 ACEeco Fully hydraulic vibratory plates. Besides these, Ammann is introducing a new extended range of lightweight tandem rollers: the ARX range with 13 models in the weight categories 1.5 – 4.5 tonnes and working widths from 820 – 1380 mm will replace the successful AVM-2 model range in the autumn of 2012. The AV 120 X asphalt roller is the latest addition to the family of articulated tandem rollers. Equipped with 1880 mm wide drums, the AV 120 X is ideal for carrying out highly efficient compaction work on asphalt mixes and binder courses. Ammann has launched an offensive in the intelligent compaction (continuous compaction control, CCC) segment for single drum rollers in the shape of the ASC 110 ACE Pro and the new ASC 150 ACE Pro. New control gear designs and reinforced vibratory units deliver first-class compaction results and the highest reliability achievable for the compaction process. In addition to above, Ammann’s newly designed hydrostatic pneumatic tyred roller AP 240 H sets the highest standards with regard to ease of operation and driveability. Its Asphalt pavers AFX 350 (AFW 350 / AFT 350) is best-in-class wheeled or track-driven asphalt pavers for medium-sized construction sitesTheir outstanding traction allows for operations on difficult terrain. Dana is a world leader in the supply of driveline products (axles, driveshafts, and transmissions), power technologies (sealing and thermal-management products), and genuine service parts for light- and heavy-duty vehicle manufacturers. At Intermat, the highlight of the company’s drivetrain technologies will be the Dana Rexroth R3 hydromechanical variable transmission (HVT), the first powersplit system available from the joint venture between Dana and Bosch Rexroth AG. It is designed for front-end loaders, graders, forestry skidders, and other off-highway applications requiring up to 265 kW (360 horsepower) and improves productivity by enabling sensitive, precise vehicle positioning and stepless drive with no interrupted acceleration. Dana will debut the new Spicer® 318 hydrostatic continuously variable transmission (HCVT) for compact front-end loaders and medium-sized telescopic boom handlers. Typically configured with a large motor ranging from 80cc to 115cc and a smaller motor from 45cc to 80cc, the Spicer 318 HCVT offers full CVT functionality without torque interruption as well as an increase in efficiency at high travel speeds of more than 20 percent over standard hydrostatic transmissions. The company will also present the Spicer TZL 16, the first in a line of powershift transmissions to be produced at Dana’s assembly facility in Wuxi, Jiangsu Province, China. Spicer TZL16 is engineered to supply superior 17-tonne front-end loaders with higher horsepower capability, reduced maintenance, and smoother, quieter operation. An enhanced TZL18 version designed for 21-tonne front-end loaders is planned shortly after the launch of the TZL16. Metalgalante is the company that invented and developed CARMIX, a 4×4 self loading concrete mixer which is easy-to-operate and cost-effective, represents world-wide the Ideal solution to produce and distribute the concrete in the most difficult job-sites as well as in the most congested downtown or in a remote island lost in the middle of the Pacific. CARMIX easily manages all the loading operations of the aggregates with perfect accuracy. The blade fitted inside the shovel permits the breaking of cement bags with no waste. From the shovel any material will flow smoothly and quickly into the drum where aggregate and cement are perfectly mixed together with the self pumped water from the twin tanks. Mixing quality and therefore concrete quality is granted by the double screw 4 mm thick ‘T’ type. The CARMIX mixer range include CARMIX 5.5 XL, CARMIX3.5 TT, CARMIX2.5TT, CARMIX25FX, CARMIXONE, and CARMIX DUMPER D6. MOBA AG is one of the leading international manufacturers in sensor technology, measuring and control technology, and identification systems for mobile applications, such as construction machines, cranes and aerial work platforms, municipal vehicles, and agricultural machines. As an internationally accepted system specialist and OEM manufacturer, MOBA AG is represented globally with eight subsidiaries in America, Europe, and Asia as well as an international dealer network. At Intermat MOBA AG will present its latest offerings including MOBA 3D-matic, the new MOBA 3D-leveling system which is optimized for the application on leveling blades. The system captivates with its simple menu structure and an uncomplicated operation via the panel Operand D and at the same time works with latest GNSS technology. 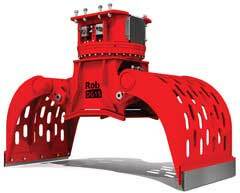 Other in the line is Easy Dig, with which MOBA offers an affordable excavator system which can be installed and operated fast and easily. During the working process, Easy Dig measures depth, slope and distance and allows the control and exact performance of excavation works even at poorly observable sites. In addition to above, the new roller system MCA-2000 will also be presented which allows optimal compaction of the material in earthmoving as well as road construction. Besides these, new MOBA temperature scanner MTPS-100 will be displayed which provides a complete real-time thermal profile of the surface. The scanner can be installed quickly and easily at all different types of machines. For the first time, the Cologne-based engine manufacturer will be exhibiting the entire range of its DEUTZ engines and DVERT®components for the EU Stage IV B / US EPA Tier 4 emissions standards. Among the exhibit of DEUTZ engines are TCD 2.9 L4, TCD 3.6 L4, TCD 4.1 L4, TCD 6.1 L6, TCD 7.8 L6, and TCD 12.0 V6.The ultra-compact 4-cylinder in-line engine TCD 2.9 L4 covers the 25 to 55.4 kW power range and offers high specific power and torque combined with very smooth running characteristics and achieves torque values 50 per cent greater than comparable competitors’ engines. Powerful and completely redesigned, the TCD 3.6 industrial engine covers the 50 to 90 kW power range while for the 70 to 115 kW power range, DEUTZ offers its customers the water-cooled TCD 4.1 L4 engine which generates maximum torque of 610 Nm at engine speeds of 1,400 to 1,600 rpm. For the 100 to 180 kW power range, the DEUTZ portfolio includes the water-cooled, 6-cylinder in-line engine TCD 6.1 L6 engine which achieves maximum torque of 1,000 Nm, enhancing its performance by up to 25 per cent compared with its predecessor while the water-cooled 6-cylinder TCD 7.8 L6 engine with 160 to 250 kW power output will generates a maximum torque of 1,400 Nm, makes it the most powerful engine in the medium power category. The 240 to 390 kW power range is covered by the water-cooled TCD 12.0 V6 engine. The modular DVERT® system that will be presented, prepares all new DEUTZ engines to satisfy the EU Stage IV / US EPA Tier 4 emissions standards. The system’s engineering modules, which are compatible with every single engine configuration, produce integrated system solutions which combine engine and exhaust gas technologies and meet individual customer requirements. Right at the planning phase for any new equipment, DEUTZ configures both the engine and the exhaust-gas system together with the customer so as to make best use of the available installation space. NLMK Clabecq is a leader in hot rolled steel plates in a thickness range from 3 to 120 mm. It produces high added value steels including steel for construction, shipbuilding etc. During Intermat, the company will broadens its range of ‘Quard’ its abrasion resistant steel, in thicknesses ranging from 4mm. Quard plates are produced through a unique rolling process that combines a four-high rolling mill with a 4-stand finishing mill and subsequently a new ‘quenching and tempering’ unit, the plates are delivered on the market with mechanical properties and surface finish that improve workability. NLMK Clabecq will also present Quend, new high yield strength steel for a better productivity. Already, the company has delivered Quend with a yield strength of 700 MPa in thicknesses ranging from 8 to 25 mm. NLMK Clabecq will expand its Quend soon in thicknesses ranging from 3 to 40 mm and with yield strength upto 1300 MPa. Atlas Copco, one of the world’s leading manufacturers of construction equipment, is planning to display an impressive line-up of innovative products at the show.Its extensive and innovative product range – covering everything from air compressors and drilling equipment to equipment for demolition, crushing, road paving and soil compaction – takes energy efficiency to new heights. The company aim is to give contractors the means to meet tougher demands for high productivity at low operating cost for many years to come. Three products that would be on display include: the SmartROC T35/T40 surface drill rig that is setting records for extremely low fuel consumption, the new generation CA 6000 soil compactor that breaks barriers for low fuel consumption, low CO2 emissions and high serviceability and the QAC 1250 generator, designed for all climate conditions and featuring a unique cooling fan giving fuel optimization. In addition, the CC900E concept asphalt roller will also be available at the stand which would be the world’s first totally emission-free compaction machine. Another first, this time for Intermat visitors, is the appearance of Atlas Copco’s Powercrusher range of mobile crushers, clearly demonstrating Atlas Copco’s expertise in crusher technology. Representing the range will be a Powercrusher PC 4, a highly rugged and durable jaw crusher with a capacity of up to up to 300 tonnes per hour. As all Powercrusher units are high quality products developed and manufactured by Atlas Copco in-house, they are perfectly suited for use together with Atlas Copco drill rigs. JLG Industries, Inc., a leading manufacturer of aerial work platforms and telescopic material handlers, will showcase a representative lineup of its extensive model range at the show including its compact range of telehandlers, represented by the L2906H. The compact range is equipped with a dependable Stage IIIa Deutz engine that delivers 101 hp (74.9kW).The aerial work platform selection that JLG will bring to the show includes the 1500SJ, the first straight boom lift that elevates operators to 45.72m and requires only a weight permit for transport. The telescoping jib, which can extend up to 7.62m, provides work envelope flexibility and exceptional horizontal and vertical reach. The highly compact 340AJ boom lift will also be exhibited that offers a working height of 12.35m with a horizontal outreach of 6.07m, meeting the demand for a broad range of applications. In addition, JLG will exhibit the diesel-powered model 510AJ boom lift with a working height of 17.81m and the five JLG Compact Crawler Booms with working heights ranging from 14m to 23m and feature a tracked wheel carriage and a narrow chassis for access through gates, yards, standard doorways and public buildings. The JLG Toucan 8E is the latest addition to the electrically-driven range of JLG vertical mast lifts known as the Toucan series. Scissor lifts will be represented by a diesel-operated Liftlux™ 245-25 model. The enhanced E300 series electric articulating boom lifts which is equipped with renewed hydraulics, an efficient drive system that delivers industry leading battery performance, and additional features that make work safer and more efficient will also be presented. Besides above, for lower level access work, JLG’s “ultra-compact” electric mast lift model 1230ES will be presented, with a platform height of 3.66m, which provides convenient access for routine interior repair and maintenance work. The 1230ES is easily transportable on a trailer or light truck, can fit through narrow doorways and inside most industrial elevators, or can be lifted by crane to elevated work areas. It features compact dimensions of 1.36m long by 0.76m wide and a stowed height of just 1.66m. The FAYAT road building equipment offering covers: mixing plants: ERMONT, MARINI, SAE and AES; road maintenance equipment : BREINING and SECMAIR and road building machines: BOMAG.At the show, the company will present two products from asphalt plant business unit-a new-generation containerized emulsion plant equipped with a Bitumill and manufactured by ERMONT, with an output of 10 to 15 T/h. RINCHEVAL’s expertise in binder plants was transferred to ERMONT in 2010. And second a continuous hot mix asphalt production plant: the COMPACT which is offered in several versions, including one with a RETROFLUX drum. The FAYAT Group will unveil its latest TOP TOWER batch mix asphalt plants. The TT3000 (up to 200 T/h) and TT 4000 (up to 280-300 T/h) plants have already set new standards for quality and reliability worldwide and now with the new TT 3000 P (240 T/h), MARINI has now broadened its range of latest-generation asphalt plants and can now meet all of the 200 to 300 T/h market’s needs. From road maintenance business unit’s leading product on display will be the SWIFT by SECMAIR, which repairs potholes durably and economically. SECMAIR has redesigned its CHIPSEALER range and has chosen this event as the world premiere for the CHIPSEALER 360: this machine offers full-width operation of up to 3.60 metres and is equipped with a spraybar and telescopic chip spreader. 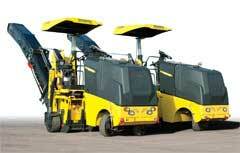 All of the FAYAT Group’s road building machines are designed, built and marketed by BOMAG. These machines include all types of soil and asphalt compactors: static, vibrating, pneumatic-tyred, heavy, medium and light compactors. The BOMAG range also includes 500 mm to 2-metre planers and paver-finishers. At Intermat 2012 BOMAG will celebrate world première in its expanding range of cold milling machines, the BM 600/15 compact planer. With a working width of 60 cm this model combines the advantages of the small BM 500/15 compact planer, in terms of manoeuvrability, versatility and compact design, with an 8 t operating weight and a 20% additional working width. The range of paver finishers continues to grow with the introduction of the BF 800: an 800 T/h machine that follows on from the BF 300 and 600. The family of paver finishers also has new spreader boxes. Another world première from BOMAG: at Intermat, the renowned Boppard construction equipment manufacturer will be showing its new tandem rollers in weight classes 3.9 t to 4.3 t for the first time. The 5th series of the BW 135 AD-5, BW 138 AD-5 tandem and BW 138 AC-5 combination model boasts a new design with powerful, water-cooled 4-cylinder KUBOTA engines; comprehensive, integrated BOMAG ECONOMIZER measuring technology; all-round vision and ergonomic operator’s platform plus proverbial BOMAG compaction performance. 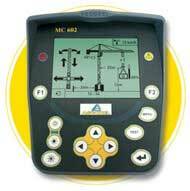 In addition, BOMAG will reveal the latest intelligent measuring technology and show how surface compaction control works with ASPHALT MANAGER II. 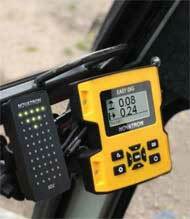 In a major contribution to quality control, BOMAG will present a “networked construction site”: BOMAG BCM net. All of the rollers carrying out the compaction are connected by a network, allowing individual measuring data to be shared with each other and the site manager. Besides these, PTC vibrodriving equipment will also be exhibited. From now on, the PTC product range will be organised into 3 areas: Vibrodriving, Piling rigs and Equipment for adding inclusions (Vibrolance). Ergonomics are also taken seriously by PTC, which offers a sheet pile handling tool: TILTEX®. This swivelling clamp provides an easy way to grab profiles and sheet piles and then positions them vertically in complete safety with no unnecessary handling operations. Cummins Inc., is a global power leader that design, manufacture, distribute and service engines and related technologies, including fuel systems, controls, air handling, filtration, emission solutions and electrical power generation systems will display a full line-up of 56 to 503 kW (75 to 675 hp) engines with next generation exhaust after treatment systems ready to move forward to meet EU Stage IV and EPA Tier 4 Final regulations, commencing Jan. 1, 2014. The QSB6.7 mid range engine and the QSX15 heavy-duty engine with near-zero emissions capability and improved fuel efficiency will be a key focus of attention for visitors to the Cummins.The popular QSB6.7 engine is widely used for many types of construction equipment. The 6.7-litre engine achieves an impressive 231 kW (310 hp) peak power at 2200 rpm with ratings available down to 109 kW (146 hp). The QSB6.7 utilizes the Cummins Compact Catalyst-Selective Catalytic Reduction (CCC-SCR) after treatment system to meet Stage IV and Tier 4 Final in 2014. Cummins heavy duty power will be highlighted by the QSX15, rated up to 503 kW (675 hp) at 2100 rpm with a peak torque of almost 2800 Nm. The QSX15 offers high power capability for premium-performance machines operating in the toughest applications. The QSX15 after treatment system for Stage IV and Tier 4 Final near-zero emissions combines the Cummins Particulate Filter with Selective Catalytic Reduction (CPF-SCR). For the Stage IIIB and Tier 4 Interim emissions levels introduced Jan 1. 2011, Cummins QSB6.7 and QSX15 engines proved capable of achieving up to 5 percent higher fuel efficiency compared to Tier 3, depending on machine optimization. By incorporating SCR into the after treatment for 2014 emissions, the 5 percent fuel saving can increase by an additional 3 percent to a total of 8 percent. The AdBlue diesel exhaust fluid dosing levels required for the functioning of the Cummins SCR system are minimized due to an enhanced mixing technique. AUSA is dedicated to designing, manufacturing and selling compact industrial vehicles, chiefly for use in municipal services, construction, agriculture, industry, green spaces, civil works, agriculture and mining. The company will exhibit a selection of its best machines including various models of dumpers, rough terrain forklifts equipped with FullGrip® technology, its Taurulift (Telehandler) range with 2 new models, self-loading concrete mixers and its versatile multiservice vehicles. 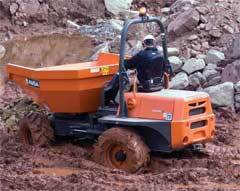 AUSA’s wide range of dumpers ranging from 850kg up to 10,000 kg capacity will be presented. Among those of smallest size will be the D 85 AHA articulated dumper of 850 kg payload and hi-tip; and the D 150 AHG, with swivel skip and 1,500 kg capacity. In mid-weight, the articulated dumper D 250 AHGA (with its 2,500 kg capacity, swivel and high-tip skip) and in the higher capacity range, the 6-t capacity, swivel skip, D 600 APG, will be exhibited. Another high capacity machine on display will be the unique D 1000 APG, equipped with the biggest swivel skip on the market and capable of carrying 10 t. Ausa will launch the new Taurulift compact telescopic T 235 H and will also present the recently launched T 144 H for the first time. The T 235 H comes fitted with a tiltable retractable cab, Ausa being the only manufacturer Worldwide to offer this feature, highly appreciated among drivers and owners, as it makes maintenance jobs much easier at a reduced cost. The T 144 H has a lifting capacity of 1,350 kg at a height of 4m. Its design, weight and configuration, with a 1.90 m height and a width of just 1.40 m make it the world’s most compact telescopic. There will be another two compact telehandlers on display i.e T 204 H, with permanent 4-wheel drive, lifting 2,000 kg up to 4.2 metres, with a very small turning circle of less than 3 metres and T 307 H which can lift 3,000 kg to 7m height and is the most compact and lightest machine with the greatest lifting capacity in its class. Besides these, 2 models of forklift will be exhibited: the C 150 H and the C 250 H 4×4, with 1,500 and 2,500 kg loading capacity respectively and equipped with AUSA’s new and exclusive FullGrip® drive technology, which enables alternate use of 4×4 and 4×2, by pressing a button on its single-control joystick. Ausa will also present the World’s first quick coupling forks C 250 H for rough terrain forklifts; self-loading concrete mixers, the X 1100 RH (4×4, with 1,100 l of mix capacity and self-loading arm) and a light-range mini-digger, a Sunward SWE 25, with an operating weight of 2.58 t and 0.066 m3 of bucket capacity. From its Urban range, AUSA will take two vehicles from its Multi-task line to Intermat: the M 50 D, its UTV (Utility Terrain Vehicle) in its diesel version, and the M 250 M.
Stanley Hydraulic Tools is a one stop solutions center for a broad spectrum of industries that designs, manufacturers and markets more than 120 lines of handheld tools and 60 mounted attachments that break boulders in quarries, keep electric grids humming and trains running on time, blast barnacles from ship hulls, maintain gas, sewer and water distribution pipes buried beneath cities, and perform thousands of other tough tasks on a daily basis throughout the world.The company has a growing presence in underwater construction and demolition also, where diver plunge hundreds of feet to repair bridge foundations, and remotely operated vehicles operate 5,000 feet below the surface to cut pipe to exact specifications for oil rigs. Contractors can select from an array of impact wrenches, grinders, breakers, saws, pumps, and hammer drills for maintenance, restoration, restoration and demolition projects for use in fresh and saltwater environments. Stanley LaBounty brand produces shears, concrete pulverizers, universal processors, and remote controlled demolition robots that crush and devour reinforced concrete with forces up to 240 tons, slice through steel reinforced bars as if they were ribbons at grand opening ceremonies, and operate in tight corners and crevices with surgical finesse. Stanley Dubuis brand designs, manufactures and sells a wide range of hydraulic tools. 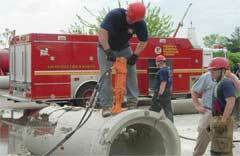 The company offers a full range of over 1000 products through its distribution network, which include hydraulic crimping tools (manual, with rechargeable battery, crimping heads, dies sets, portable storage…), hydraulic cable cutters (manual, with rechargeable battery, fast chargers kits, cutting blades…), standard tools (torque wrenches, manometer, drill bits, annular cutter…) and specialist tools (Railway, Sanitary, Electrical, Aerospace…) to meet the needs of all customers. Group Mecalac, the French building machinery manufacturer currently using the brands of Mecalac and Ahlmann, will now distribute all of its product groups exclusively under the single Mecalac brand.Mecalac is one of the world’s most innovative building machinery manufacturers in the field of mobile earthmoving equipment and the market leader for compact mobile excavators in France. Ahlmann is the only manufacturer worldwide to produce all designs of wheel loader, including articulated, all-wheel and swing loaders. At Intermat Mecalac will showcases a new telescopic swing loader, the AS 900tele. The 63 kW loader with bucket volumes of 0.9 to 1.4 m3, is suitable for work with a lifting height of up to 4.72 m and a reach of up to 3.5 m. In spite of these benefits, it needs only little space for one duty cycle. The AS 900tele can swivel its telescopic arm to both sides by up to 90°. 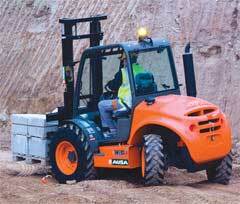 This increases the working range considerably or allows for work steps completely impossible to carry out with a standard telescopic loader. Due to the particularly stable design, the AS 900tele is released for operation with all standard attachments over the entire swivelling and telescoping range. A computer-controlled overload alarm is available as an option. 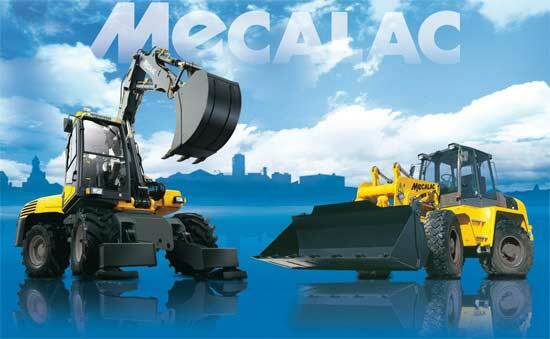 In addition, Mecalac will display a new Mecalac rapid crawler machine 10MCR. On the same technological basis of the 8MCR: a triangular crawlers chassis, a turret with total rotation equipped with the Mecalac patented kinematics and an operating speed of 10km/h, the 10MCR, 9,0 tonnes, is particularly suitable for work requiring high performance in digging and handling. CHRONO Flex, a leader in on-site hydraulic hose repair 24/7, has an integrated network of 180 technicians offering an emergency service with mobile workshop. Any company using hydraulic equipment can be confronted with a hydraulic hoses break on its equipment. It can paralyze a whole construction site and a whole team because the equipment becomes then unusable. 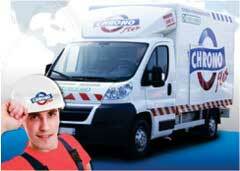 As a national network offering local solutions, CHRONO Flex provides a 24/7 service directly on site. First they diagnose the hose break, than dismantle and make a new brand hose identical to the initial one and assemble it on the equipment. In order to reduce the number of hose break on site, the company offers a preventive maintenance service. GradoCero Group is the manufacturer of heavy duty excavator buckets and patented Go Max quick couplers. One of their divisions is also performing large rock excavation and trenching projects in the North of Spain. Due to this unique combination, they were able to invent and develop a completely new and 100% reliable, efficient and maintenance-free attachment, the Xcentric® Ripper, which will do excavation and demolition of asphalt or concrete roads and floors in less time, for lower cost and with a minimum of noise.The Xcentric® RIPPER is developed with a patented impact vibration accumulation technology, which makes it in 85 % of the job applications more productive than any Hydraulic Breaker available on the market. Ramtec, a specialist in the design and manufacture of a wide range of innovative machinery and attachments for demolition application, has recently enlarged its products range and will brings its existing and new machines at Intermat. The new range is a complete hammer line. Product line consists of three products ranges namely MH, BH and EH series.At the show the company plans to display number of machines and attachments that include CG20 crusher grapple, BH30C hydraulic hammer, MP19 multiprocessor, DG15 demolition grapple and MM062 screening bucket. They all combine a number of key features: sustainability for various jobs, ease of use and service and high-quality Finnish manufacturing skills.